On September 11th 2015, MPs voted overwhelmingly against legalising assisted suicide. Opinion polls would have you believe that the majority of the UK population believe it’s a humane choice to legalise assisted suicide for terminally ill or disabled people but Liz and many other disabled people disagree. Confronting the lack of creative work exploring this most topical taboo, she is joined by director Mark Whitelaw (Duckie, Ursula Martinez, New Art Club), composer Ian Hill (Duckie) and a cast of performers to express an important but often unheard perspective. 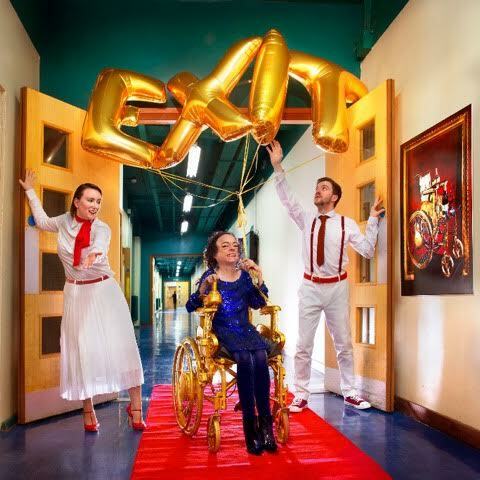 Ahead of the premiere at Unlimited Festival at the Royal Festival Hall on September 10th and 11th, (http://unlimited.southbankcentre.co.uk/events/assisted-suicide-the-musical) we warmly invite you to the preview of Assisted Suicide: The Musical by Liz Carr. Colchester Arts Centre, Wednesday 27 July, 8pm. Pay What You Can Afford.